« METALLIANCE TOUR 2011 – Support Bands Announced, Tickets On Sale Now! 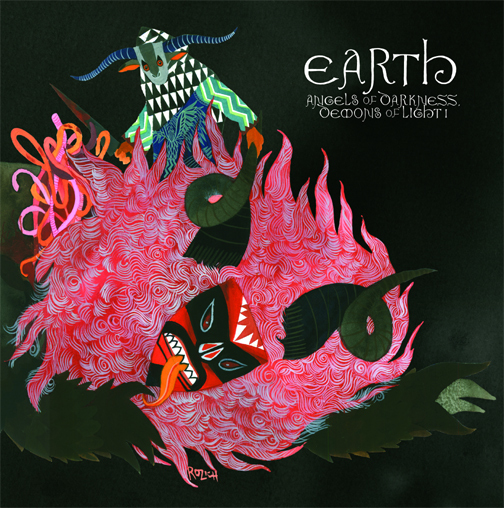 EARTH’s Entire New Album Streaming On NPR Until February 7th, 2011! Angels Of Darkness, Demons Of Light 1, the latest organic opus from EARTH, is now streaming in its entirety as an NPR “Exclusive First Listen.” Click here to check out the whole album, where it will stream for free until February 7th. Set for release on February 22nd, once again for Southern Lord Recordings, Angels Of Darkness, Demons Of Light 1 represents yet another new chapter in the EARTH lineage, as the band continues to expand their trademark slow-morphing drone a bit beyond the realms they’ve explored on their last handful of releases and recent years of touring, and continuing to reproduce continually inspiring music as they have with every recording to date. EARTH have also announced an official hometown record release show for Angels Of Darkness, Demons Of Light 1, scheduled for March 3rd at The Tractor Tavern in Seattle. This entry was posted on January 31, 2011 at 10:25 pm and is filed under avant-garde music, drone metal, hard rock music, metal odyssey, Music, rock music, rock music news with tags angels of darkness demons of light, drone doom, drone metal, dylan carlson, earth, experimental rock, hard rock music, metal odyssey, npr music, npr radio, rock albums 2011, rock music, rock music news. You can follow any responses to this entry through the RSS 2.0 feed. You can leave a response, or trackback from your own site.